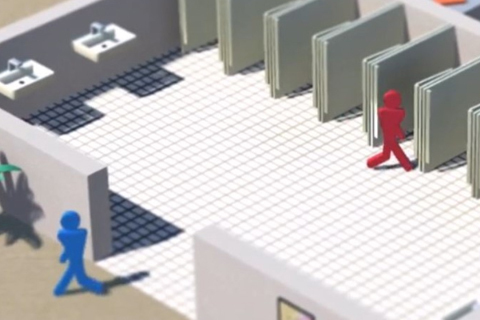 Gotta Go is a 3D Isometric Simulation of a universally relatable situation: being in an unfamiliar place with an urgent need to go to the bathroom. With pressure mounting, the clock ticking, and no clue where the bathroom is, you must make your way across the office avoiding co-workers’ inane blathering, HR’s ever-watching gaze and the boss’s wrath to find your porcelain sanctuary. Set in a 1990’s cubicle-farm Gotta Go combines arcade style gameplay with lighthearted humour to create a fun pick-up-and-play experience that will have you challenging yourself and asking for more. LookListen collaborated with a great composer (www.mihalicomposer.com), for this reason I wanted to have all of the audio blend and interact with the music.